Coworking is a relatively new concept. Not many are aware of it. It is a new style of work. It is based on a shared work environment. Work environment may be an office or an independent venture. In a coworking setting, coworking is generally not a part of the same company. Coworking attracts people who are entrepreneurs, work-at-home professionals, independent contractors, startup enthusiasts & freelancers. It is more like a social gathering of people who work independently but shares thoughts and ideas. Freelancers often work from home, hence face isolation from a proper working environment. Coworking offers a solution to the problem of isolation. It gives them a medium to get in touch with other working professionals. Also, it helps them to exchange ideas and thoughts. Coworking represents a new way of thinking about how a community works and shares with one another. In a coworking place, one gives a lot of importance to values like openness, collaboration, accessibility, and sustainability. Coworking is all about the coworking community. The workplace is not designed like a conventional office place. Instead, private long rooms for meetings and multi-functional places are there. Rooftops can be used, as well as a cafe like interior. Such an environment facilitates people to break their barriers and get to know each other. Now that the concept is clear in your head, let’s understand what exactly a coworking space is. And how does it come into functioning? In a coworking place, individuals come together to achieve the goals they have set for themselves. Building relationships that last a lifetime at such places are very common. Also for independent workers, it is a great place to expand their work base. The place also gives an opportunity to form new connections that can lead to lifelong friendships. When working with individuals, the free flow of ideas and thoughts happens. The exchange of information enables you to be more creative and work intelligently. There are a lot of diverse people from whom learning can be a great experience. People from different backgrounds and different cultures come together. They work as a unit. There are people who have different expertise in the same work environment. It is easy for you to reach out for their help and opinions. Well, this is one of the first reasons a person considers going for a coworking workplace. Money can be an issue, especially if you are just starting out as an independent worker or freelancer. Coworking spaces offer affordable prices and a suitable work environment for people to work in. When looking for a workspace many factors need to be kept in mind. 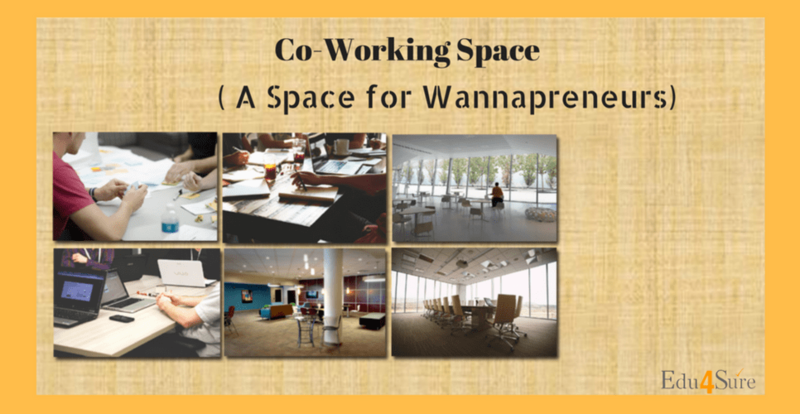 There are many coworking workspaces available these days. Choosing among them can be a task. It is important to find the right co-working space to suit your requirements and fulfill all your needs. These should be in of course a pocket-friendly manner. Location: One of the main factors when selecting a coworking space is its location. The place must be easily accessible. Check out the ease of commuting beforehand. It should be easy to find and placed in a proper neighborhood. Make a decision after considering these factors. It should be closer to your residence as well. So that not much time and energy are wasted in traveling. Infrastructure and amenities: A co-working space must provide a disturbance-free environment to work in. Good decor and comfortable seating should be at your disposal. Uninterrupted power supply and wifi connection are a must. Cafeteria, library, restrooms and lounge areas are necessary for any workplace. Meeting rooms should be accessible easily. A good and frequent supply of tea and coffee and cold beverages inside the premises while working. Ambiance speaks volumes about a coworking place. A motivating and innovative ambiance can enable a person to work better. There should be a positive work environment. Events and playful activities should be planned out to enhance the moods of the people working at the place. Price: this can be a deciding factor when it comes to choosing a workplace. Renting out is definitely more expensive than a coworking place. There are many options in a coworking place. One can choose according to their budget and requirement of place. Community: The community forms the people you will be interacting with. Therefore the community plays a vital role when deciding on a coworking place. It is easier for you to be open to a community which is welcoming and shares your goals and thoughts. 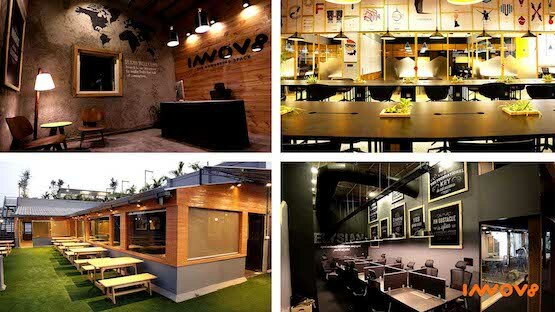 Innov8 is a coworking space in Delhi. It is a high-quality workspace situated at the heart of Delhi; Cannaught Place. Innov8 allocates a designated area of your workstation. It physically puts a barrier between your work and professional life. Hence, it is a very popular replacement for freelancers who work from home and want to get out of their house. It is well equipped with office equipment like printers, scanners, and other essentials. It is obviously less expensive than renting out your own space, hence is pocket-friendly. One doesn’t have to look after the place or worry about its maintenance. It is an innovative space for working and also for interacting with new people. These people are focused and motivate each other to become more and more productive. The place also offers unlimited hot and cold beverages, anytime, at your convenience. One can visit their website and get to know all about Innov8 and its facilities. Details about the prices, various blogs, videos, events and contact information are posted on the site. The site also offers a virtual tour for the onlookers, a very nice feature on the website. So there are many benefits from working in a coworking environment. It is a rather new concept and people are accepting it more and more, day by day. The added features and advantages of working in a coworking workplace are manifold. It helps boost one’s confidence as well as enhances their skill set. 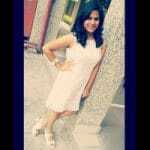 With interactive sessions with diverse people, one gets a better understanding of life. Reaching out for help is easier as there are brilliant minds sitting in front of you or in the adjacent room. People have a helpful nature and want youngsters to improve. In exchange for a decent amount of money, one is open to a new world of opportunities. Next articleAre You Ready For Digital Learning?